Looking for a NAATI accredited Japanese translator in Brisbane? As a premier Japanese translation service provider in Brisbane, Brisbane Translation knows how to assist you with all your NAATI certified Japanese translation services. If you need an affordable and reliable Japanese translator in Brisbane, look no further – Brisbane Translation can help! We translate all documents from Japanese to English and English to Japanese. Our NAATI certified translations can be used for official purposes in Australia. Many of our clients use our NAATI certified Japanese translations to submit documents for visa applications and university applications. What is the cost of Japanese translation services? Our Japanese translation services are affordable with prices starting at just AUD $69 for many documents. Please complete a Free Quote form on this website for a free quote within 15 minutes (sent via email). How long will it take to translate my documents? The standard processing time for our Japanese translation services is 2-3 business days. If you need your translation completed sooner, please let us know and we will certainly assist! Can you explain to me what a NAATI certified Japanese translation is? Sure! A NAATI certified translation is one that has been completed by a NAATI accredited translator. NAATI is the national body responsible for accreditation of translators in Australia. Most Government departments and other authorities in Australia require for English translations to be completed by a NAATI accredited translator. Our Japanese translators are all accredited by NAATI which means that the translations we produce for you are NAATI certified and can be used for official purposes. Look no further if you need a NAATI certified Japanese to English translation! What do I need to do to order by Japanese translation? The best news for you is that you can order your Japanese translation completely online! Simply fill in the form on this page and upload a scan or photo of your documents. We will provide you with a quote within 15 minutes via email – that’s it! The team at Brisbane Translation are here to help you through every step of the process. In the East, one can find one of the most exotic romantic languages in the world which is the Japanese language. We have outlined some quick facts about this interesting language to help you know more about it. Since a lot of the syllables are open in the Japanese language, it is considered as one of the best languages for singing. 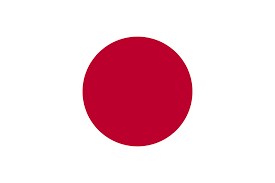 Around 130 million people in the world speak the Japanese language. This makes it one of the most used language in the different business fields since Japan has one of the largest economies around the world. The Japanese language has a simple grammar. No genders are existing in the nouns, and they are not declined. The grammar has no singular and plural form distinctions. Also, the language has no articles. Filled with honorific markers, the Japanese language is one of the most polite languages in the world. These are usually used as adjectives and verbs. Among the Japonic language group is the Japanese language which is considered as the principal language. Despite this, some linguists argue that the language as Altaic, but some theories say that it is closer to the Austronesian group. Writing Japanese includes three scripts namely kanji, katakana and hiragana. Thanks for the fantastic service. My Japanese family register document was translated very quickly and it was accepted with no fuss!